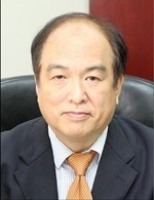 Dr. Yaw-Kuen Li received his PhD degree from Tulane University, USA, in 1991. After his postdoctoral research in School of Medicine of Johns Hopkins University, he moved back to Taiwan to start his academic career in 1993. He was promoted to a full professor in 2002. Further, he became the chair of the department in 2004 and the Dean of college of science in 2014. His primary research interests include three major fields: (a) Enzyme-based catalytic biological reactions, (b) Bio-recognition and Bio-sensors, (c) Solid-state/biological interface chemistry.